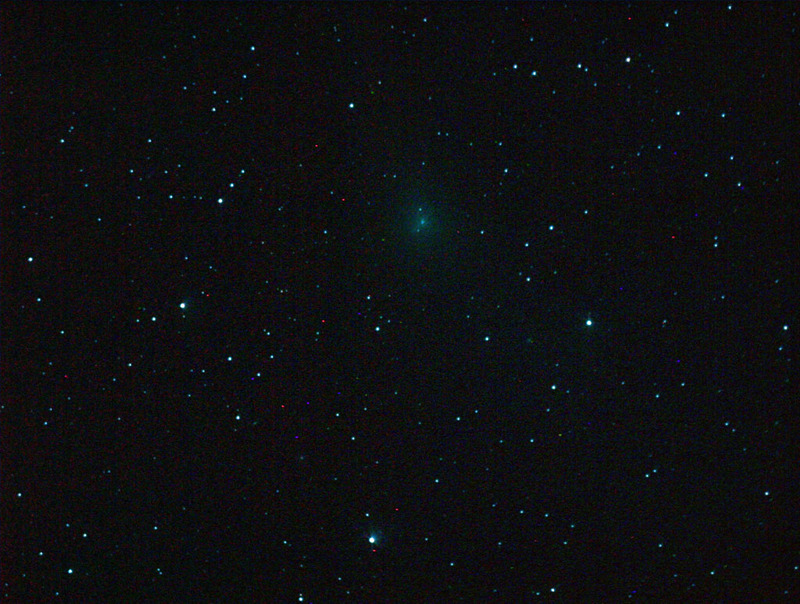 Chris Newsome took the following two pictures of Comet Lovejoy on the 14th May 2007. The first is stacked on the comet itself allowing the stars to trail over time and the second is a combination of stacking on the background of stars and then superimposing a copy of the 'comet stacked' image over the top. The brightest star in the image (at the bottom of the picture) is Eta Draconis. At the time the images were taken the comet was receding from the sun at high speed, moving through Draco, and the magnitude was fading fast. 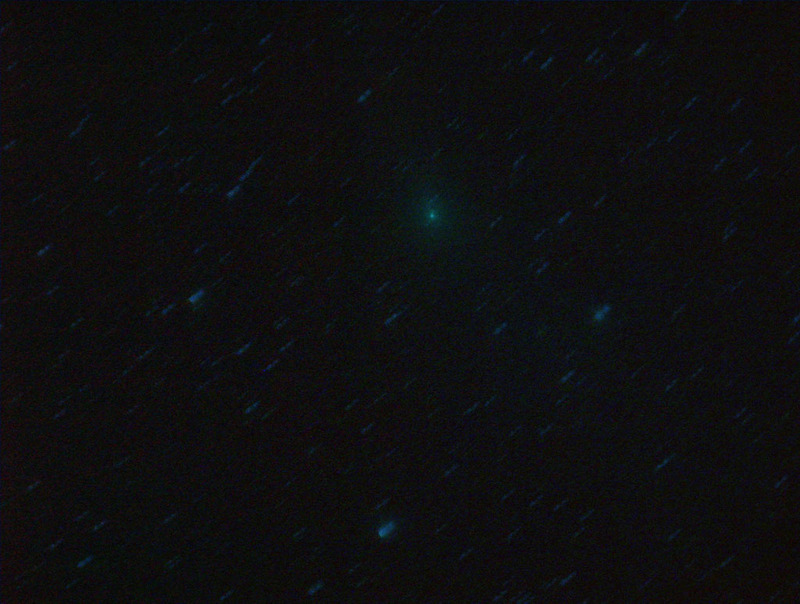 The comet was at mag 9.2 and as such there was no discernable tail to image - it's the faintest comet Chris has ever imaged to date. The images were taken through a Celestron C8-NGT/Canon EOS300D (with MPCC and CLS filter) and guided with a Skywatcher 80T/Meade DSI using MaximDL. The final images are a stack of 15 frames at 800 ASA, and each exposure was at 120 seconds. The images were combined in MaximDL and then processed in CS2.